Would you consider yourself to be a news junkie, apathetic about current events, or somewhere in between? If you’re anything like me, you want to be knowledgeable about what’s happening in the world, but you don’t need all the details. And you certainly don’t want to feel overwhelmed, dragged down, or depleted by keeping up to date. But how can we get informed and stay engaged in national and international news? Many of us want to remain aware and informed, but not at the cost of our mindset. 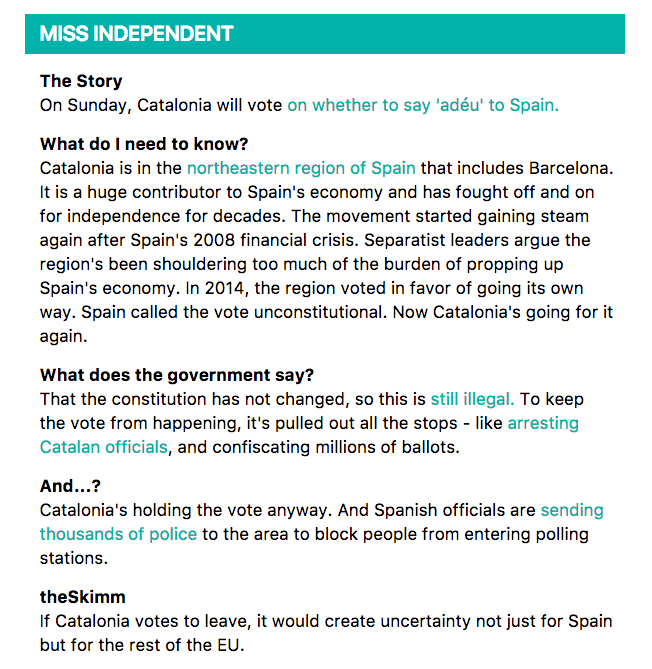 I love how The Skimm provides enough background to offer context, and then contains additional links to delve deeper on topics. They write in a smart and witty way that I much prefer over the dramatics of many major news outlets. One of the reasons The Skimm is such a great way to get the news is that it delivers it in small, bite-sized chunks. That helps give information about a broad range of headlines in a shorter amount of time, versus going deep on one particular topic. This makes it quicker to get informed, while also keeping us from getting bogged down in some of the negative details. Here are a few ways to consume the news in smaller chunks. I’m not a big tweeter (or tweep?) myself, but I do check Twitter daily for news updates. They offer “Trends for you” and “Today’s Moments” sections, the latter of which offers news snippits. What’s neat about it is that it highlights reactions and responses from Twitter users, making it feel more conversational and often translating the news into real-world implications. Find a news outlet that speaks to you in terms of its political stance, tone, and topics. And then skim the headlines (even just front page!) to get up to speed. By being intentional in which publication(s) you scan, you’re more likely to enjoy reading the articles that jump out at you. My final recommendation is to surround yourself with positive news! It’s so easy to get bogged down in sad stories, dramatic headlines, and terrible tragedies that it can be incredibly refreshing to read positive news. As I mentioned in my post 8 of the Top Instagram Accounts to Follow for a Better Day, I adore Global Positive News. You can find them on Instagram @globalpositivenews, or on their website. They share real life feel-good stories that can help restore our faith in humanity. Expect to see headlines about strangers helping one another, donations made to important causes, and extreme acts of kindness. How do you typically get your news? 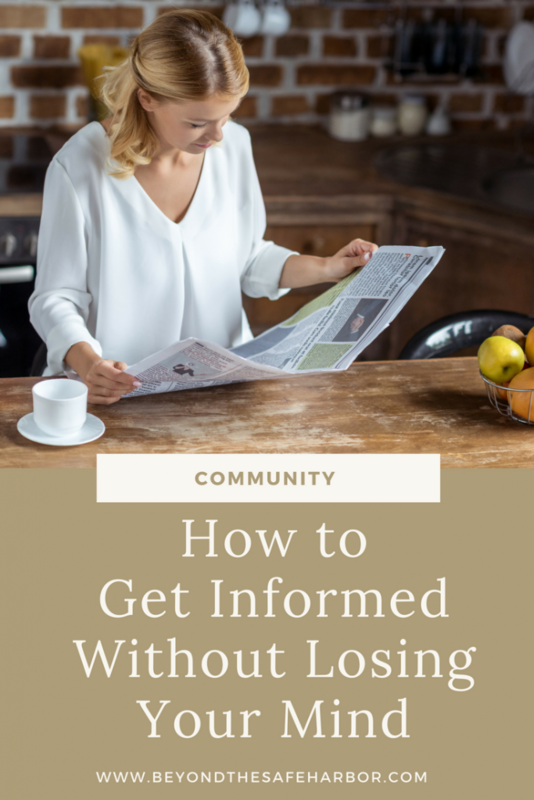 What recommendations do you have on getting informed while staying sane? Leave a comment below to let us know!